I love playing with torn papers to create little birds... like this little map owl. 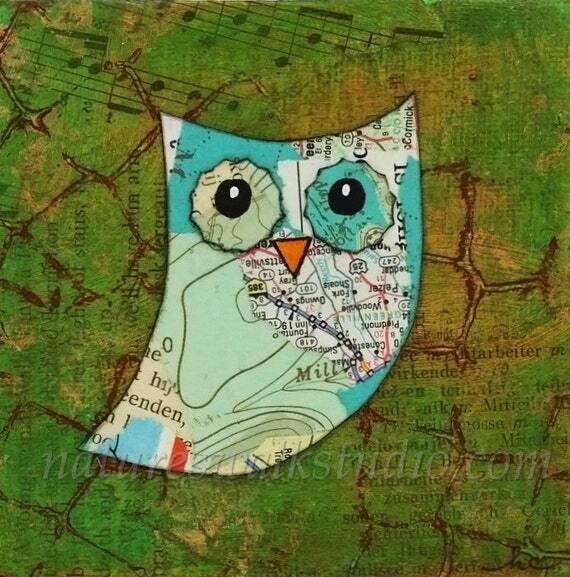 LOVE LOVE LOVE your map owl... really adorable with great colour!! Ohhh this is so cleaver and cute. A great idea. awe-your owl is so sweet and I love that you used map paper! So sweet and such a clever idea! Love it! That is SO cool!!! Wow!